Is Pokémon GO a healthy game? Video games often stir up clashes between parents, who prefer their kids to be more active, and kids, who try to negotiate more screen time. But with the wildly popular new Pokémon GO game, the battle lines between physical activity and screen time have gotten fuzzy. Pokémon GO is a smartphone game that blends the real world with a virtual one. Players comb streets, parks, museums and other locations to find and capture fictional Pokémon characters. 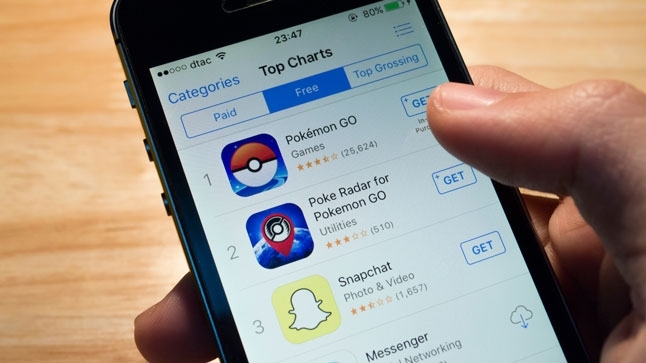 Critics say the game is yet one more way that kids get sucked into screens, but fans point out that Pokémon GO influences kids to be more active and social as they hunt for virtual critters. What’s the parent of a Pokémon fan to do? Danyale McCurdy-McKinnon, PhD, clinical psychology director of the UCLA Fit for Healthy Weight Program, weighs the pros and cons. The American Academy of Pediatrics (AAP) recommends children and teens spend no more than 1 or 2 hours a day on entertainment media, including TVs, computers and phones. Yet according to the AAP, children today actually spend an average of 7 hours a day in front of screens. “Too much screen time can actually change the structure of the brain, including gray matter atrophy and white matter degradation,” Dr. McCurdy-McKinnon says. Specific findings indicate that these structural changes can lead to long-term functional problems, including attention control, impulse control, and problems with executive functioning in general (the brain process involved in planning, decision making and working memory). Physical activity, on the other hand, offers countless benefits for both the body and brain. Yet according to the President’s Council on Fitness, Sports & Nutrition, only 1 in 3 children are active every day. Pokémon GO could be a step in the right direction. The game inspires players to wander far and wide to track down new Pokémon. They also have to walk set distances ­– up to 3.1 miles – to hatch Pokémon eggs. Many Pokémon GO players team up with friends or family members when they play, and these social connections are important for mood and mental health, Dr. McCurdy-McKinnon says. “I saw tweets from kids that said they’d been depressed or anxious, but this game helped them get out with their friends,” she says. Taken together, Dr. McCurdy-McKinnon believes the benefits of Pokémon GO outweigh the potential drawbacks. Plus, she points out, kids are only staring at their screen a fraction of the time they play the game. The rest of the time, they’re running around and exploring. “Two hours of Pokémon GO isn’t like two hours of playing PlayStation,” she says. That said, she recommends parents set screen-time limits, such as making bedrooms screen-free zones, banning screens from the dinner table and turning off entertainment media an hour before bedtime. But if you’ve got Pokémon-crazed kids at home, don’t panic. You might even follow their lead. “It seems like an enjoyable game for all ages,” Dr. McCurdy-McKinnon adds. Visit the UCLA Fit for Healthy Weight Program to learn more about how much and what type of exercise your child should be getting.